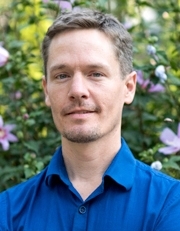 Stefan Fiol joined the CCM faculty in 2010 and is Associate Professor of Ethnomusicology and Affiliated Faculty in Asian Studies. He researches music, dance, ritual practice, media and the histories of commercial and folkloric cultural representation the Uttarakhand Himalayas and North India. Professor Fiol’s monograph, Recasting Folk in the Himalayas: Indian Music, Media and Social Mobility, was published by University of Illinois Press in 2017. His current research project explores drumming (specifically the dhol and damaun) as a tool of historiography in the central Himalayas, specifically through mapping drumming practice and reading shifts and continuities against insights from oral history, archaeology and sociolinguistics. His research has been published in Ethnomusicology, Journal of Asian Studies, Ethnomusicology Forum, Asian Music, Journal of South Asian Popular Culture and Yearbook for Traditional Music, as well as edited volumes including More than Bollywood (Oxford, 2014), This Thing Called Music (Rowman and Littlefield, 2015) and Music in Contemporary Indian Film (Routledge, 2017). His research has been funded by fellowships from Fulbright-Nehru, Wenner-Gren Foundation, American Institute of Indian Studies, National Endowment for the Humanities and the Arts Social Science and Humanities Faculty Research Program at the University of Cincinnati. Fiol received his Ph.D. in Musicology from the University of Illinois at Urbana-Champaign in 2008 after conducting two years of ethnomusicological research in India, and shorter fieldwork projects in Chile, Paraguay and Zimbabwe. Fiol has been a visiting scholar in the South Asia Program at Cornell University, and has previously taught at the University of Illinois (2002-04), the University of Notre Dame (2005-06) and the Eastman School of Music (2008-10). Trained in classical piano, Fiol currently studies and performs on the sitar, the mbira dzavadzimu and a range of central Himalayan percussion and melody instruments. PhD, University of Illinois, Urbana, IL. University Research Council, University of Cincinnati. 2016 to 2017. Fulbright-Nehru Senior Research Fellowship. 2016 to 2017. National Endowment for the Humanities (Summer Stipend). 07-2016 to 09-2016. AMS 75 PAYS (Book subvention from the American Musicological Society). University Research Council Fellowship, University of Cincinnati . 2011. American Institute of Indian Studies (AIIS) Junior Fellowship. 2006 to 2007. Fulbright-Hays Dissertation Development Research Award. 2004 to 2005. Wenner-Gren Individual Research Grant. 2004 to 2005. (2010). Dual Framing: Locating Authenticities in the Music Videos of Himalayan Possession Rituals. Ethnomusicology, 54 (1), 28-53. (2011). Sacred, Inferior, and Anachronous: Deconstructing Liminality among the Baddi of the Central Himalayas. Ethnomusicology Forum, 19, 191-217. (2011). From Folk to Popular and Back: Assessing Feedback between Studio Recordings and Festival Dance-Songs in Uttarakhand, North India. Asian Music, 42 (1), 24-53. (2012). Articulating Regionalism through Popular Music: The Case of Nauchami Narayana in the Uttarakhand Himalayas. Journal of Asian Studies, 71 (2), 447-474. (In Progress). “Listening to Garhwal Popular Music in (and out of) Place.”. Journal of the Association for Nepal and Himalayan Studies. (2013). Of Lack and Loss: Assessing Cultural and Musical Poverty in Uttarakhand. Yearbook for Traditional Music, 45, 10-24. (2012). All India Radio and the Genealogies of Folk Music in Uttarakhand. Journal of South Asian Popular Culture, 10 (3), 1-12. (2017). Recasting Folk in the Himalayas: Indian Music, Media and Social Mobility. Urbana, IL: University of Illinois Press. (In Progress). Dialects of Dhol: Mapping Rhythm, Memory and History in the Central Himalayas..
(2017). Folk Drums and Tribal Girls: Sounding the Himalayas in Indian Film. Music of Contemporary Indian Film: Memory, Voice and Identity (pp.133-146). New York: Routledge. (2015). One Hundred Years of Indian Folk Music: The Evolution of a Concept. This Thing Called Music: Essays in Honor of Bruno Nettl Rowman and Littlefield Press. (2013). Making Music Regional in a Delhi Studio. More than Bollywood: Studies in Indian Popular Music (pp.179). Oxford: Oxford University Press. Anna Stirr (2017). (Rev. of Singing Across Divides: Music and Intimate Politics in Nepal). European Bulletin of Himalayan Research. Richard K. Wolf (2015). (Rev. of The Voice in the Drum: Music, Language and Emotion in Islamicate South Asia). Journal of Asian Studies. Andrew Alter (2015). (Rev. of Mountainous Sound Spaces: Listening to History and Music in the Uttarakhand Himalayas). The World of Music 4(1). Falu Bakrania (2015). (Rev. of Bhangra and Asian Underground: South Asian Music and the Politics of Belonging in Britain). Ethnomusicology 59(1). (2010). (Rev. of Music and Society in South Asia: Perspectives from Japan	). Asian Music 41(2). Charles Fairchild (2009). (Rev. of Pop Idols and Pirates: Mechanisms of Consumption and the Global Circulation of Popular Music). ARSC Journal 40(2). Gregory Booth (2009). (Rev. of Behind the Curtain: Making Music in Mumbai’s Film Studios). ARSC Journal 40(1). (2004).. Oscar Benito: Paraguayan Harp (Recording Review). The World of Music, 46. Nicholas Temperley Award for Excellence in a Dissertation in Musicology, University of Illinois at Urbana-Champaign , 2008.